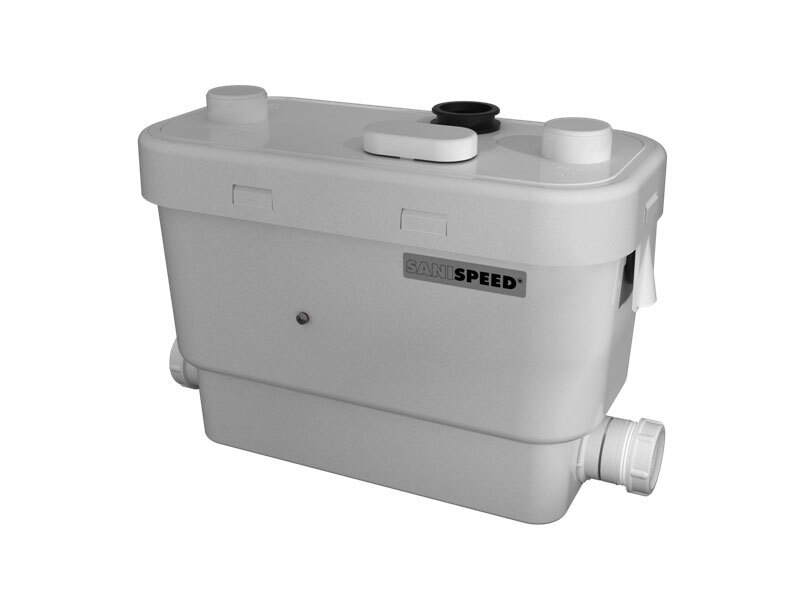 The Sanispeed is grey water waste pump designed for use in light commercial applications such as pubs, canteens, coffee shops, cafés, guest houses, shops, laundries, and nursing homes. 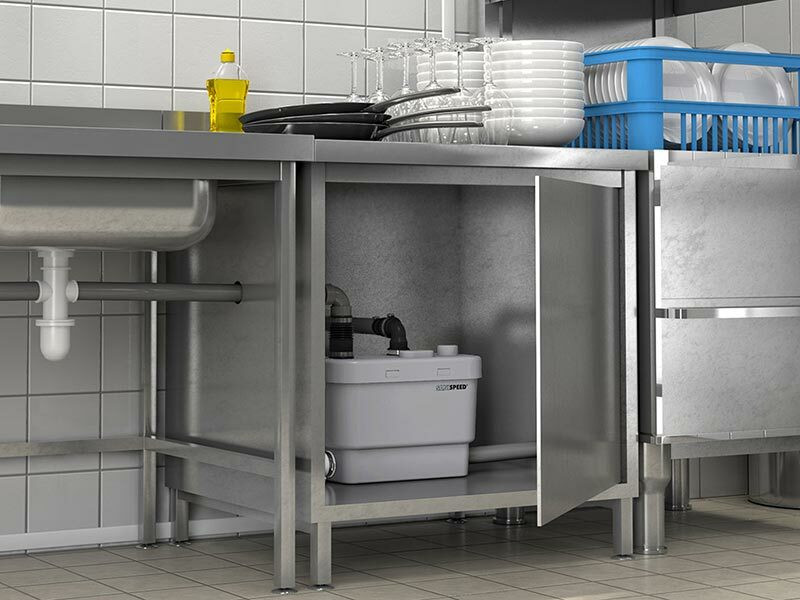 The Sanispeed is grey water pump designed for use in light commercial applications such as pubs, canteens, coffee shops, cafés, guest houses, shops, laundries, and nursing homes. It handles waste from appliances such as a wash basin, bath, shower, washing machine, dishwasher, glass washer, or kitchen sink. Having four inlets means that up to four such appliances can be connected. The Sanispeed grey water pump can achieve pumping distances of up to seven meters vertically and 75 metres horizontally, and can handle temperatures up to 75° for short periods. Note that if used with a shower, the shower tray must be raised a minimum 15 cm from the floor. The Sanispeed along with all of our Saniflo Systems and Kinedo Shower and Bath Solutions can be bought online with the reassurance of dealing with Ireland’s official Saniflo and Kinedo agent.